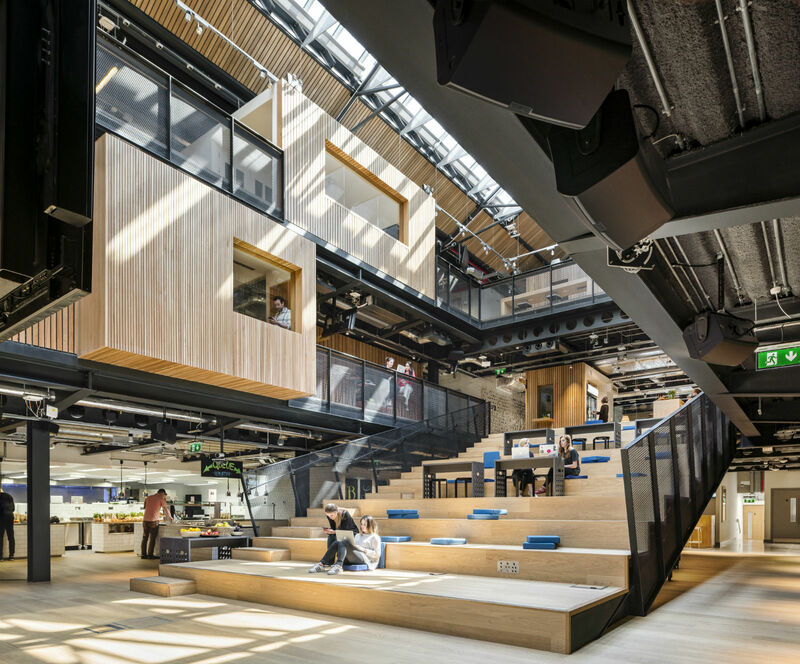 Airbnb has officially opened its new headquarters in Dublin, located on Hanover Quay, in the “Silicon Docks” area of Ireland’s capital city. 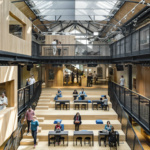 The 40,000-square-foot project, dubbed The Warehouse, will house more than 400 employees and emerges out of another collaboration with Dublin-based heneghan peng architects, the firm behind the company’s previous Dublin office (which will remain in operation). 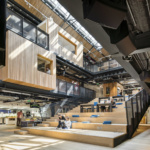 The new Dublin HQ’s three stories are designed around an atrium and amphitheater in the center of the building and features a grand central staircase, named the ‘Agora.’ The staircase can serve as a large conference or community event space for up to 400 people, or a lounge-style working environment for employees throughout the normal workday. 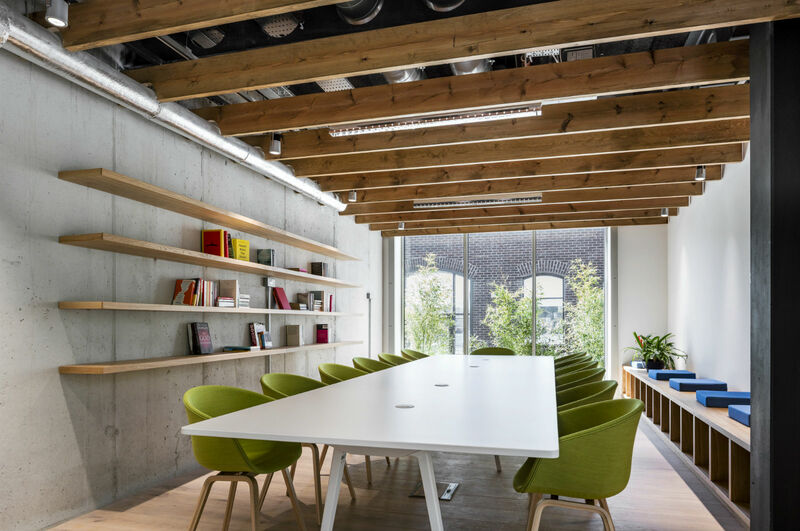 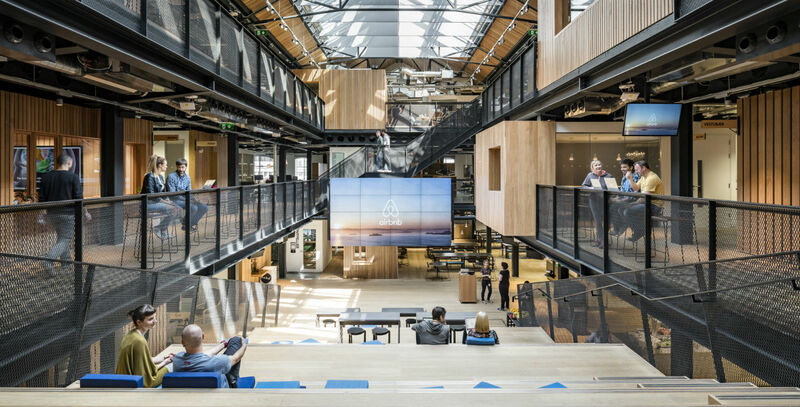 The new Airbnb international headquarters inherits a rich history, having been home to Dublin Trawling Ice & Cold Storage since 1865, and the Raleigh Bicycle Company since 1954. 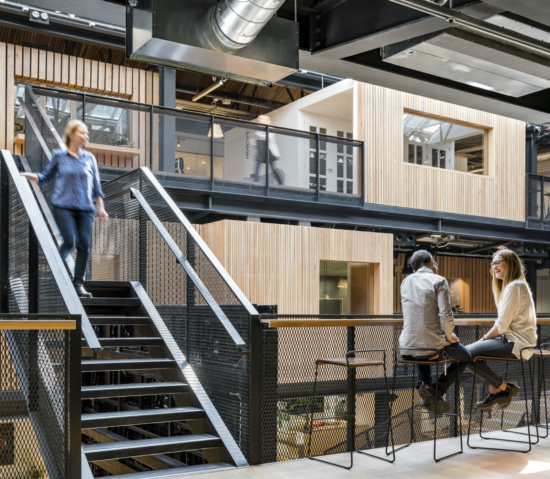 When the bike manufacturer left in 1980, the warehouse was but a shell for a completely open floor plan, falling into disrepair after enduring not one, but two fires. 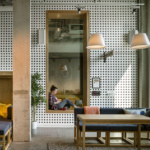 Airbnb is said to have had direct architectural input in renovating the empty space, optimizing chances for “unplanned encounters that open avenues of creative exploration,” that “only the physical work space can activate,” according to Aaron Harvey, head of the environments team at Airbnb. 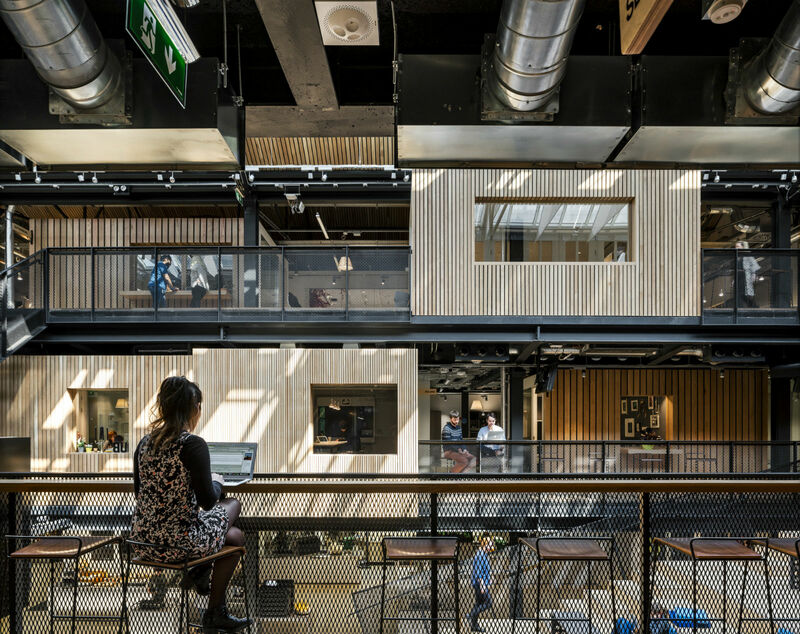 Each of the 29 primary working spaces, or ‘neighborhoods,’ come with its own large communal table instead of individual desks, shared storage space for employees, one or two sit stands, and a designated lounge spot, while secondary work spaces exist in kitchen areas or meeting spaces scattered throughout the warehouse, such as on the landings between floors. 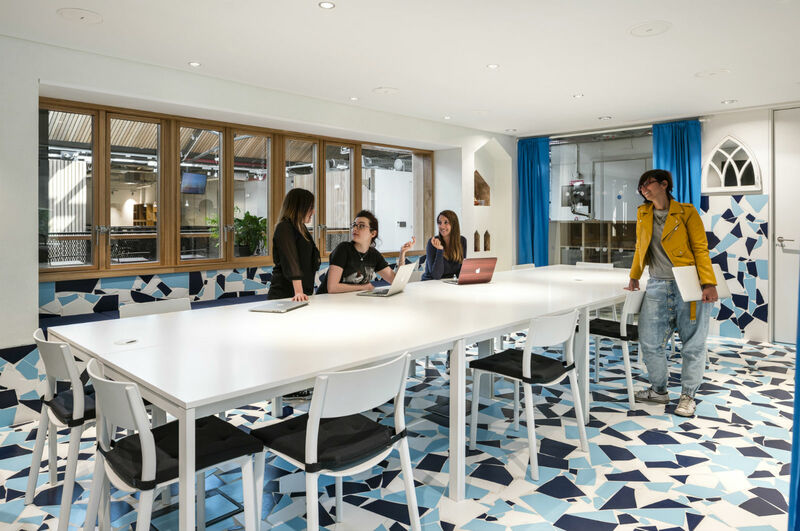 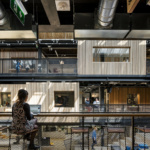 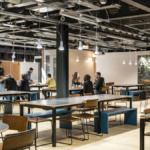 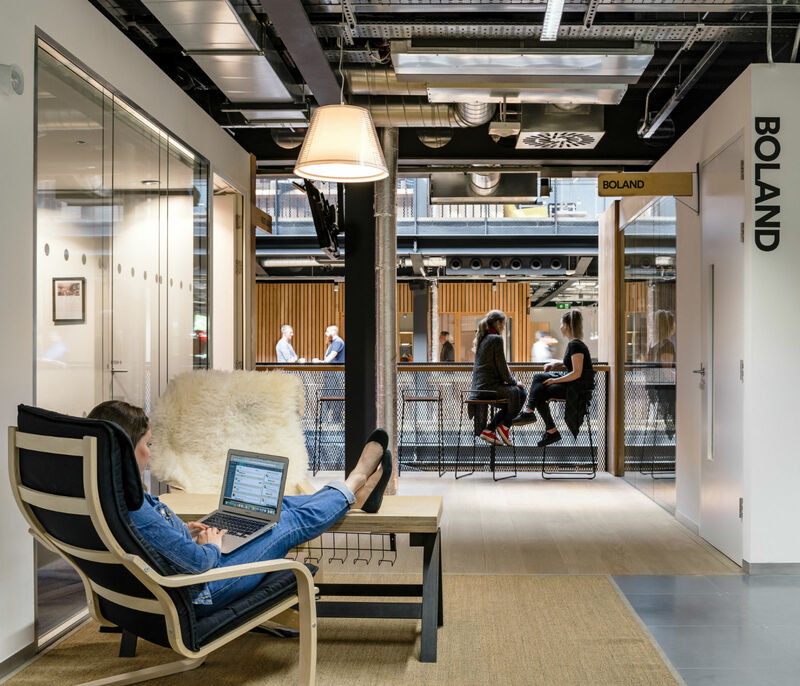 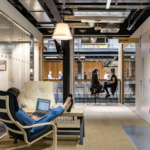 With more workstations than staff, the architects have designed enough space for everyone to sit where they like, according to News Four. 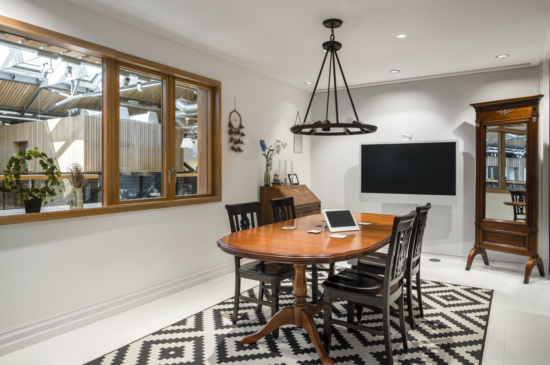 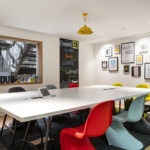 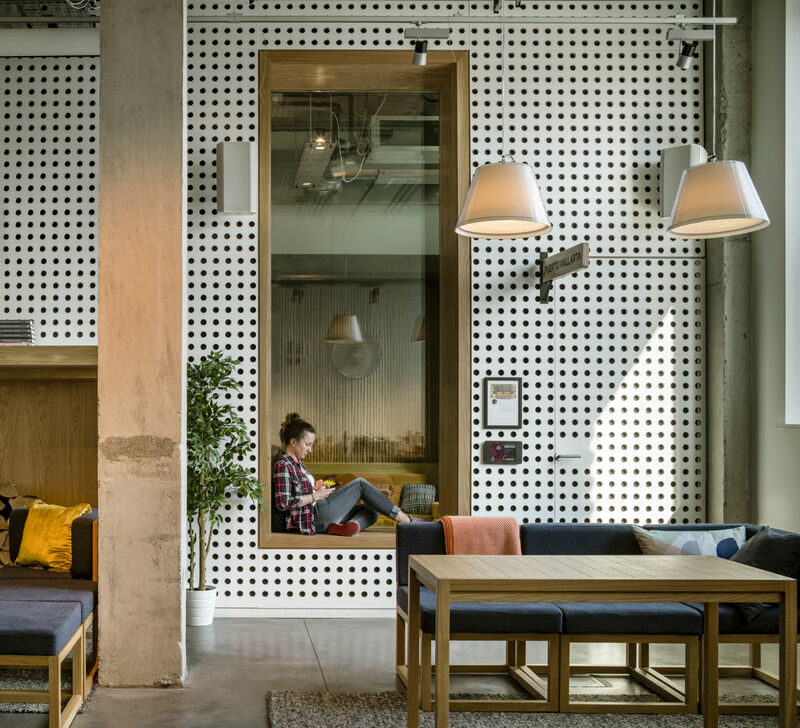 Of course, in keeping with tradition, The Warehouse offers meeting rooms designed as replicas of the hottest listings on the Airbnb platform, drawing inspiration from destinations such as Mykonos, Lisbon, Puerto Vallarta, Jalisco in Mexico, and Montpellier in France. 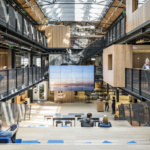 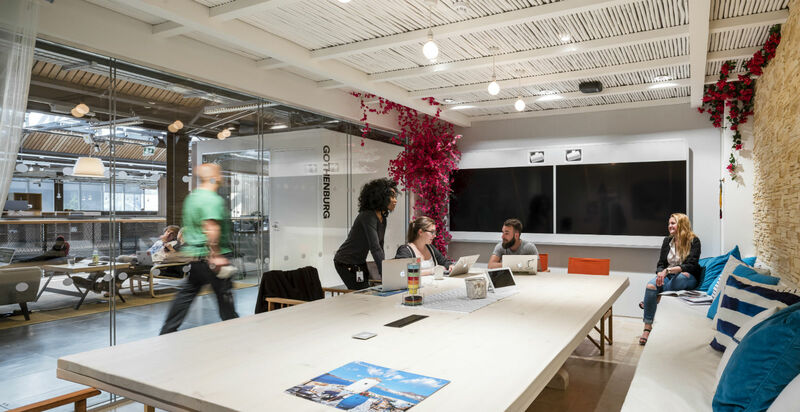 The Warehouse is also Airbnb’s first urban campus model, which is expected to become more prevalent in the company’s office spaces moving forward.